Nr WATERFORD CITY: 2 Buzzards south of the city. Nr WATERFORD CITY: Long-eared Owl at Couse roundabout. ISLANDTARNSEY (nr Kilfarrassy): Flock of 125 Skylarks in stubble field. GILES' QUAY (Co Kilkenny): Kingfisher along Kilkenny bank of Suir, opposite Little Island. BLACKWATER CALLOWS: 4 Shoveler, a Shelduck (well inland) & 111 Whooper Swans west of Towers, between Lismore & Ballyduff. WATERFORD CITY: A wintering (or very early) Chiffchaff singing between Alexander Street & Michael Street. KNOCKMEALDOWN MOUNTAINS: 2 or 3 Red Grouse SW of the Vee, and inside Waterford border. COMERAGH MOUNTAINS: 12 Crossbills at Boolabrien Upper (grid ref S1916). DUNGARVAN (I-WeBS count): BLACK-NECKED GREBE inside Cunnigar, 2 CATTLE EGRETS at Gortnadiha Lower, 2 Great Northern Divers, Whimbrel at Ballynagaul, 1130 Brent Geese including 3 dark-bellied Brent (1 Ballyneety, 2 Duckspool/Kilminnin); Common Seal at Killongford bridge. Nr CLASHMORE: 8 CATTLE EGRETS again at Ballycrompane (grid ref X114827). VILLIERSTOWN QUAY (lower Blackwater): Scaup. RAM HEAD: 3 Red-throated Divers. DUNGARVAN: 1 CATTLE EGRET at Gortnadiha Lower about 1 km W of the Cunnigar (presumably one of the birds last reported at Ballyharrahan, near Killongford, 17 January). Nr CLASHMORE: *8 CATTLE EGRETS at Ballycrompane (grid ref X114827). VILLIERSTOWN QUAY (lower Blackwater): Scaup & Otter. DRUMLOHAN CROSS ROADS (nr Lemybrien / Stradbally): 3 Bramblings. TRAMORE BACKSTRAND: Red Admiral at Lisselan. COMERAGH MOUNTAINS: Jack Snipe near Coummahon. HALFWAY HOUSE area (nr Waaterford city): Early / overwintering Red Admiral buterfly. GLENDALOUGHIN (ne Nier Valley): Another record of the rare migrant moths Euchromius ocellea. BAWNGARRANE (nr Ardmore / Grange): 2 CATTLE EGRETS still present, south of N25; 1 present earlier, plus another (1 of the 2?) north of N25, further west towards Youghal bridge. BALLYLEMON: Male Blackcap in garden. RIVER BRICKEY (nr Dungarvan): Kingfisher, Dipper & Chiffchaff just below Knockmaon Bridge; another Chiffchaff below Twomile Bridge. DUNGARVAN: BLACK-NECKED GREBE, 3 dark-bellied Brent Geese & a 2nd-winter Mediterranean Gull. 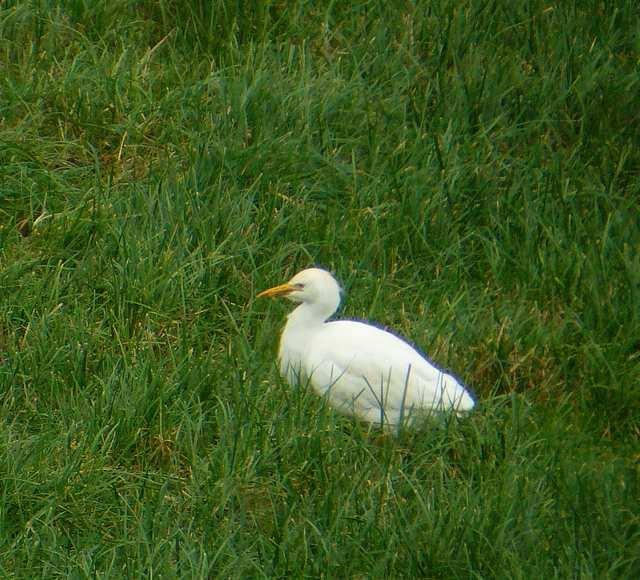 BAWNGARRANE (nr Ardmore / Grange): *2 CATTLE EGRETS seen from the N25. NEWPORT (lower Blackwater): 2 Buzzards, ringtail Hen Harrier & an Otter. DRUM HILLS: Woodcock at Scordaun forest. CLONEA STRAND: 12 Great Northern Divers & a Red-throated Diver. TRAMORE TOWN: 2 rare migrant moths of species Euchromius ocellea (only 2nd or 3rd Irish record). RAM HEAD: Fin Whale & 50+ Common Dolphins. Nr LEMYBRIEN / STRADBALLY: 2 CATTLE EGRETS & 4+ Brambling at Drumlohan Cross Roads. ARDMORE HEAD: Adult Mediterranean Gull. BALLYNAMONA (nr Mine Head): Blackcap. HELVICK HEAD: 1st-winter Iceland Gull & 2nd-winter Glaucous Gull. 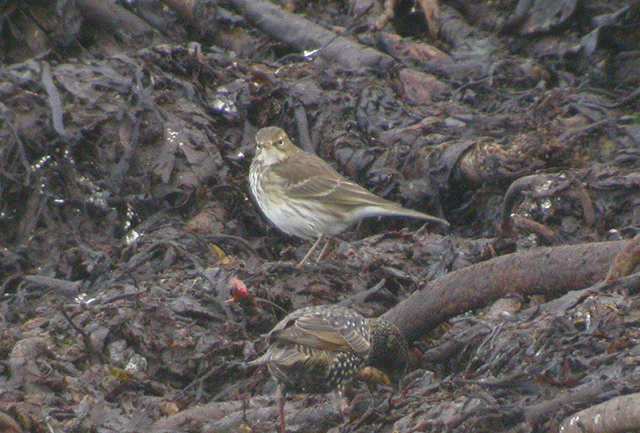 CLONEA STRAND: WATER PIPIT & 2 Purple Sandpipers at Ballinclamper. 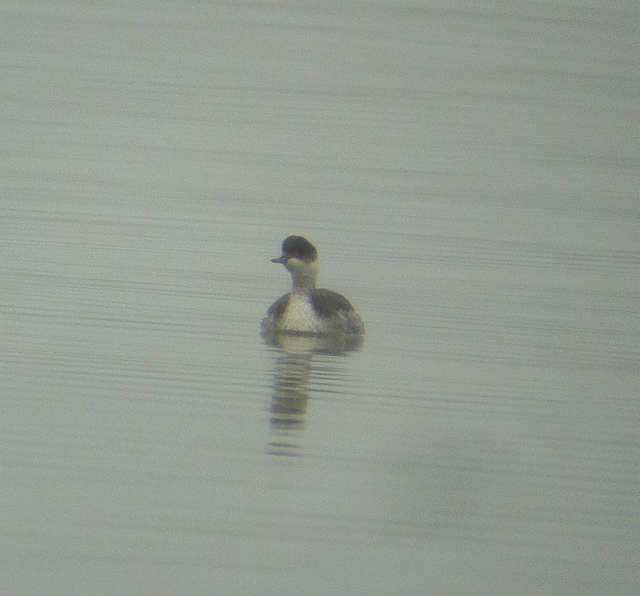 DUNGARVAN: BLACK-NECKED GREBE & Long-tailed Duck off Sports Centre, Kingfisher & Common Sandpiper at Ballyneety. 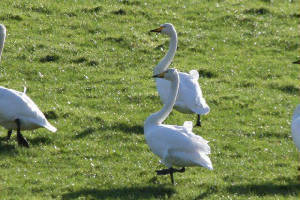 BLACKWATER CALLOWS: 165 Whooper Swans & 670 Black-tailed Godwits west of Towers, Lismore to Ballyduff. KNOCKMEALDOWN MOUNTAINS: 9+ Crossbills (mostly males) near Knockadav. 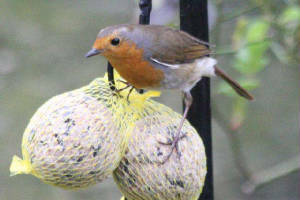 See also video of Crossbill feeding in garden near Lismore last winter. Nr DUNGARVAN: 6 CATTLE EGRETS, Ballyeitragh (north of N72). 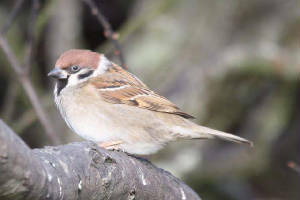 DUNGARVAN: Tree Sparrow at Ballyneety, in maize field by former dump. KNOCKMEALDOWN MOUNTAINS: Merlin & Hen Harrier. DUNGARVAN: 2 Brambling in garden at Abbeyside. 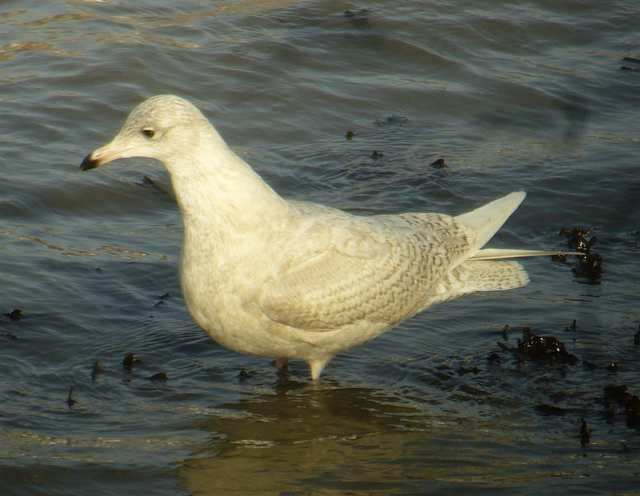 CLONEA STRAND: Iceland Gull at Ballinclamper. BLACKWATER CALLOWS: *2 CATTLE EGRETS at Ballysaggart More (grid ref X0199), north side of Blackwater between Lismore and Ballyduff; said to have been present for some time. East of BALLYDOWANE COVE: Another Black Redstart. Near STRADBALLY / LEMYBRIEN: 10 CATTLE EGRETS at Drumlohan Cross Roads. 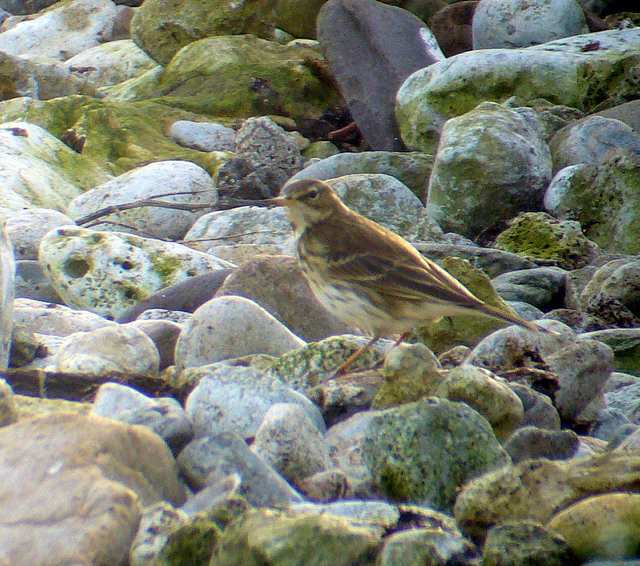 CLONEA STRAND: Water Pipit at Ballinclamper. 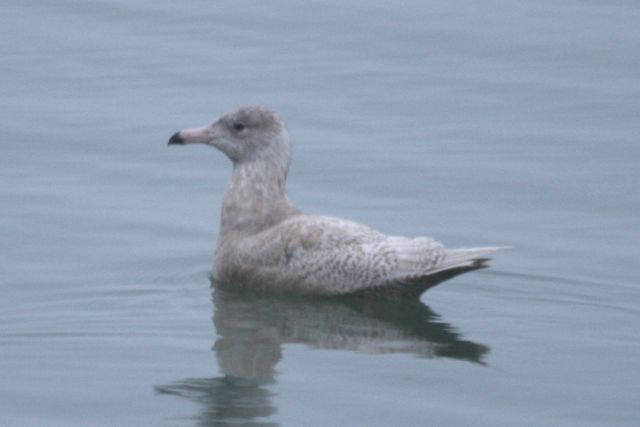 HELVICK HEAD: 2 Iceland & 2 Glaucous Gulls. 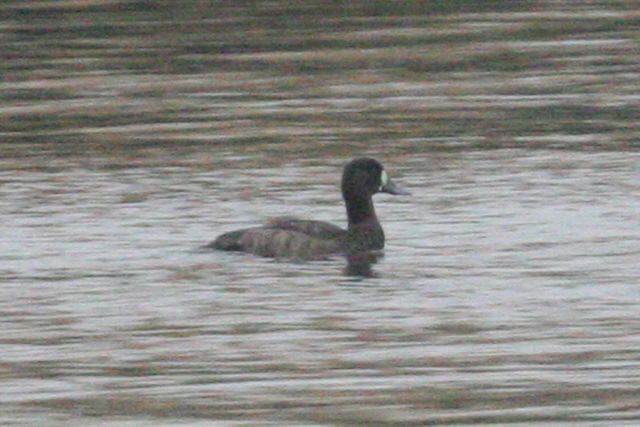 DUNGARVAN: BLACK-NECKED GREBE, BLACK BRANT & Long-tailed Duck. KILMURRAY, nr Dungarvan: 110+ Stock Doves. WHITING BAY: 1 Choughs & a dead Common Seal. KNOCKADERRY RESERVOIR: Hybrid Whooper x Mute Swan adult & 44 Tufted Duck. CLONEA STRAND: WATER PIPIT again at Ballinclamper. 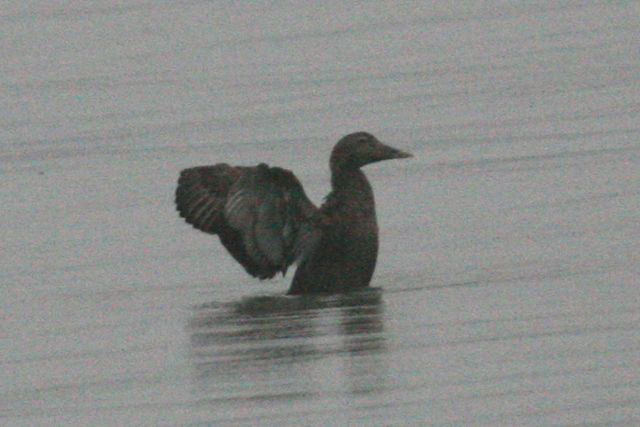 DUNGARVAN: 2 female Eider & 3 Great Northern Divers in outer bay. RIVER BRICKEY: Kingfisher at Knockmaun, & Green Sandpiper. 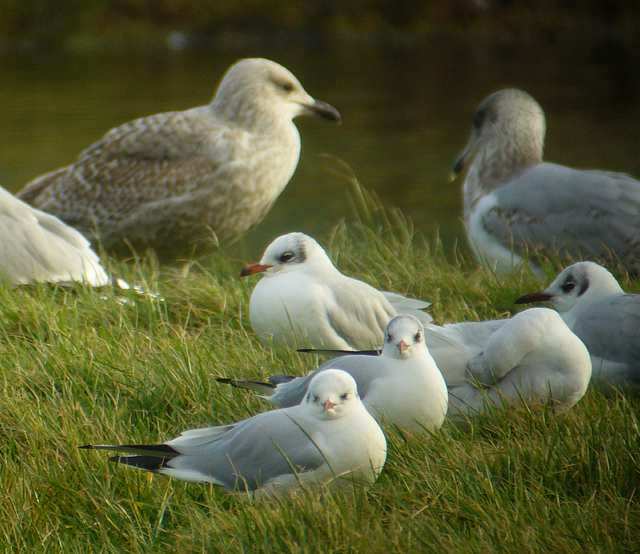 HELVICK HEAD: 2 1st-winter Glaucous Gulls & 2 1st-winter Iceland Gulls. KNOCKMEALDOWN MOUNTAINS: 2 Crossbills north of Knockadav; 2 Woodcock and a calling Red Grouse SE of Knockshanahullion. KNOCKMEALDOWN MOUNTAINS: 7 Crossbills north of Knockadav. HELVICK HEAD: 1st-winter Iceland Gull at pier. 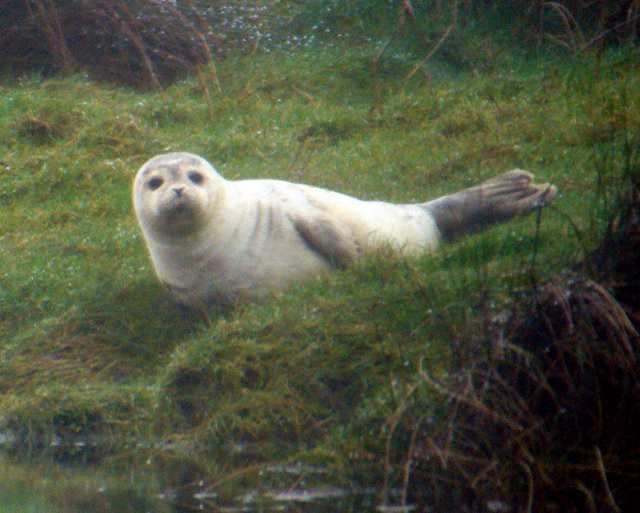 DUNGARVAN: Long-tailed Duck & 2 female Eiders in bay; total 6 Common Seals (4 Ballyneety, 1 quay, 1 off pitch & putt). CLONEA STRAND: Whimbrel & 3 Purple Sandpipers at Ballinclamper. TIBBERAGHNY BOG (Co Kilkenny): Adult White-fronted Goose, 166 Greylag Geese, 44 Whooper Swans, 13 Little Egrets & 82 Hooded Crows. 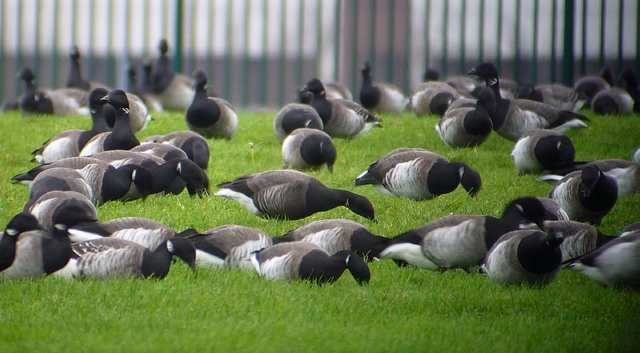 TRAMORE BACKSTRAND: 774 Brent Geese & 230 Knot. CLONEA STRAND: 4 Great Northern Divers off Ballinclamper. DUNGARVAN: BLACK-NECKED GREBE & Common Seal off pitch & putt, 2 female Eiders off Ballynacourty pier. TEMPLEMICHAEL (lower Blackwater): Common Sandpiper. DUNGARVAN (I-WeBS count): BLACK-NECKED GREBE & Long-tailed Duck inside Cunnigar-tip (off pitch & putt), 2 CATTLE EGRETS nr Killongford, 2 female Eiders off Ballynacourty pier, Whimbrel at Ballynagaul, adult BLACK BRANT and adult dark-bellied Brent at the pitch & putt club, c840 light-bellied Brent, & 8 Great Northern Divers. CLONEA STRAND: Whimbrel, Purple Sandpiper, 26 Sanderling & 19 Chough at Ballinclamper, 10 Great Northern & 6 Red-throated Divers. 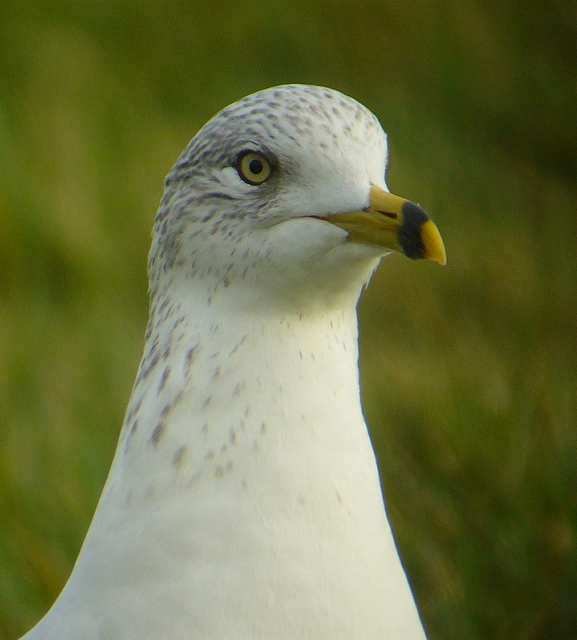 GULL ISLAND (Stradbally/Ballyvooney): Adult or 3rd-winter Yellow-legged Gull with 247 Great Black-backed & 192 Herring Gulls. Nr YOUGHAL: *GLOSSY IBIS flying over the Youghal dump area (Cork/Waterford), then flew up the River Blackwater - the first Co Waterford record since 1946. RAM HEAD: Arctic Skua, 3 Red-throated Divers, & 2 Porpoises with calves. DUNGARVAN: Black Redstart at Ard Scoil na nDeise carpark. Nr VILLIERSTOWN (lower Blackwater): Green-winged Teal. HELVICK HEAD: Black Redstart on pier, 14 Great Crested Grebes, 177 Herring Gulls & 130 Great Black-backed Gulls. DUNGARVAN: 2 female Eiders off Ballynacourty pier, Whimbrel & Black Guillemot at Knockanpower Lower, 14 Great Northern Divers, 1 Red-throated Diver & 44 Great Crested Grebes. 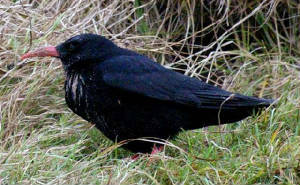 CLONEA STRAND: Merlin, 9 Great Northern Divers, 2 Purple Sandpipers, 16 Sanderling & 12 Choughs, Ballinclamper / Ballinard. DUNMORE EAST: Black Redstart in Inner Harbour / pier area. TRAMORE BACKSTRAND: 2 Long-tailed Ducks. BALLYSHUNNOCK RESERVOIR: Female Goosander (at east side) & 54 Whooper Swans. DUNGARVAN: Black Redstart at Devonshire Bridge, female Blackcap in a garden. RAM HEAD: c150 Common Dolphins. Nr WHITING BAY: 2 Tree Sparrows at Ardoginna Head, Black Redstart at Goat Island. Nr STRADBALLY: 2 Bramblings with 300 Chaffinches at Drumlohan Cross Roads, also 4 Little Egrets. 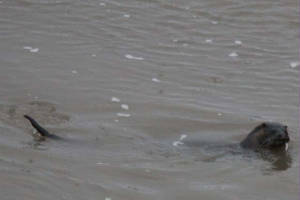 DUNGARVAN: 2 Eiders in bay. DUNGARVAN: 2 CATTLE EGRETS still present. ARDMORE BEACH: 2 Mediterranean Gulls (adult + 2nd-winter). Nr WHITING BAY: Up to 20 Tree Sparrows at same farm as last winter (Springfield / Ballysallagh area), 2nd-winter Mediterranean Gull in adjacent fields. CAMPHIRE (Bride/Blackwater confluence): Black Swan feeding with Whooper Swans; also recorded in November 2007, and presumably an escapee (or free-flying bird) from a collection. 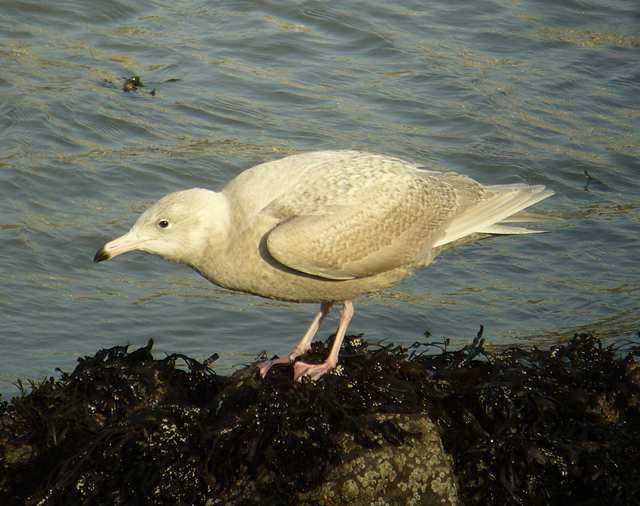 RINCREW (Tourig/Blackwater estuary): 4th-winter Yellow-legged Gull & 1st-winter Glaucous Gull. 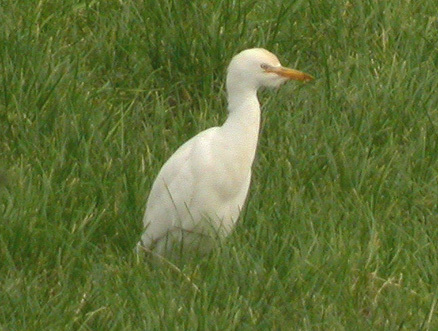 WATERFORD CITY RING ROAD: *CATTLE EGRET, at Six Cross Roads junction. 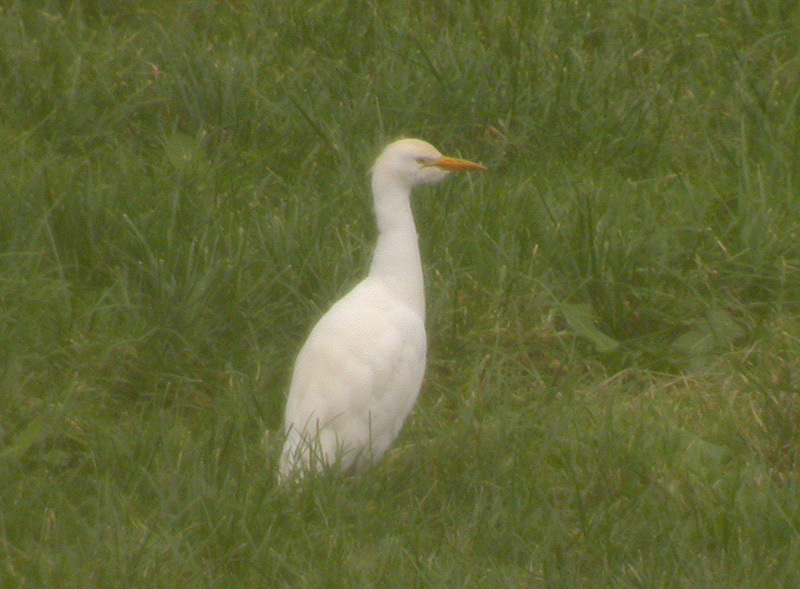 GARRARUS: *CATTLE EGRET present since 25 December. 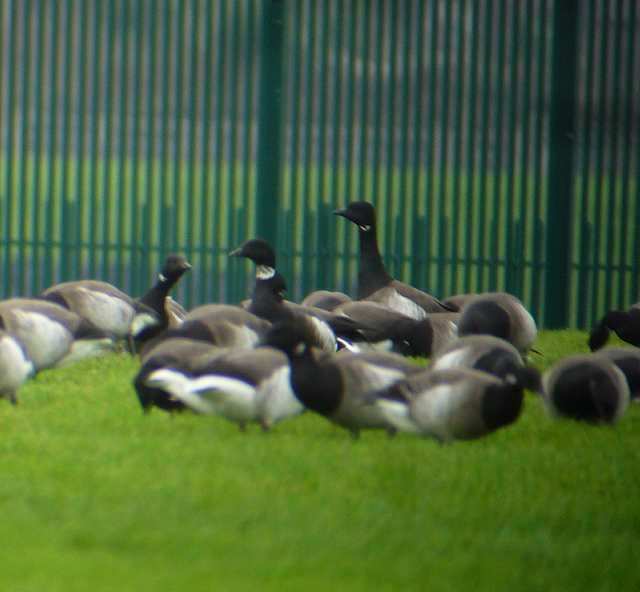 DUNGARVAN: 2 CATTLE EGRETS still present near Killongford; adult BLACK BRANT & 2 adult Dark-bellied Brent Geese at pitch & putt field.